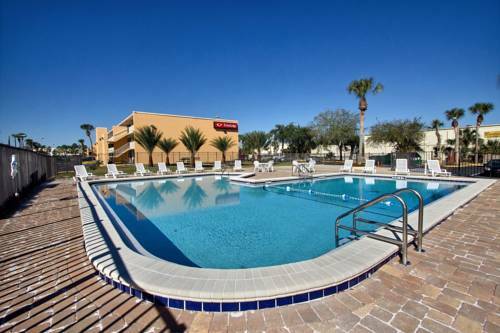 An easy stop on the road awaits you at the Econo Lodge International Drive hotel in Orlando, FL near Universal Studios. Our hotel is near Wet N Wild Orlando, Orlando Science Center, Islands of Adventure and I-Drive. We provide all the amenities you need so you can stick to your budget and focus on the important reasons you travel, including free Easy Starts continental breakfast, free WiFi, a free weekday newspaper and an outdoor pool. All of our guest rooms have flat-screen TVs, hair dryers, coffee makers, desks, safes, irons and ironing boards. Also, earn rewards including free nights and gift cards with our Choice Privileges Rewards program. Hotel charges a nightly resort fee of 4.65 plus tax . The resort fee includes parking, in room safe, and shuttle transportation to parks.